A chic signature that is luminous and amorous, couture and glamorous. 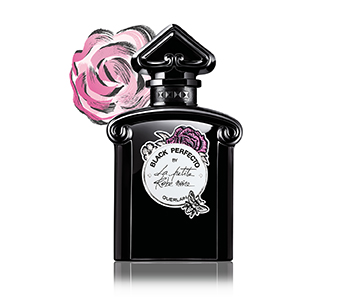 GUERLAIN La Petite Robe Noire is the essence of Parisian elegance, as delectable as a rose macaron and as timeless as a little black dress. The precious eau de parfum charms the senses with a cheeky wink of sweetness, its delectable Guerlainade and a seductive smokiness. Alluring and captivating, La Petite Robe Noire makes for the ultimate temptation. It is an invitation to come closer, catching the eye in one sly glance. A romantic fragrance that is shaped with GUERLAIN finesse in the place where fashion meets fragrance.